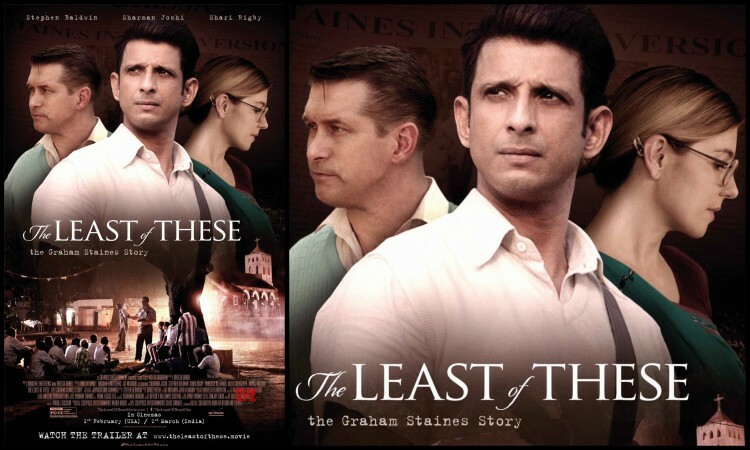 Actor Sharman Joshi, who is gearing up for the release of his first Hollywood film "The Least of These: The Graham Staines Story", says the movie sends out the message of love, peace, tolerance, and harmony. The film, based on real-life story of Australian Christian missionary Graham Staines who worked among the tribal poor and leprosy victims in Odisha, comes 20 years. He was burnt to death along with his sons by alleged members of the Bajrang Dal, a Hindu fundamentalist organization. "I feel all of us hold responsibility for it and help stop it in our little way by spreading a message of love, peace, harmony, and tolerance. I feel only through awareness we will be able to fight these horrific acts. That's what I have endeavored through this film." Talking about the film "The Least of These: The Graham Staines Story", Sharman said: "It's a story about missionary Staines against whom allegations were made that he was forcibly converting Hindus to the faith of Christianity. The story is seen through the eyes of a journalist, Manav Kaul, played by me." The film was released in the US last month and will be released in India on March 29. "After the India release, the film will be released in South Africa, East Africa, and Europe," he said. Directed by Aneesh Daniel, the film also stars Stephen Baldwin, Shari Rigby, and Prakash Belawadi.